As a college student, a valuable lesson I have learned is to relax and destress during stressful times of midterms and finals. Usually, I temporarily set my books aside, open a new browser window, and stream a show to watch while enjoying my meal. Aside from popular shows like “Game of Thrones,” “Stranger Things,” and “Black Mirror” (which I love!) here is a list of television series and sitcoms that I believe are lighthearted enough to watch everyday. Before the success of “Crazy Rich Asians,” Constance Wu was living in Florida with her three sons, husband, and mother-in-law. 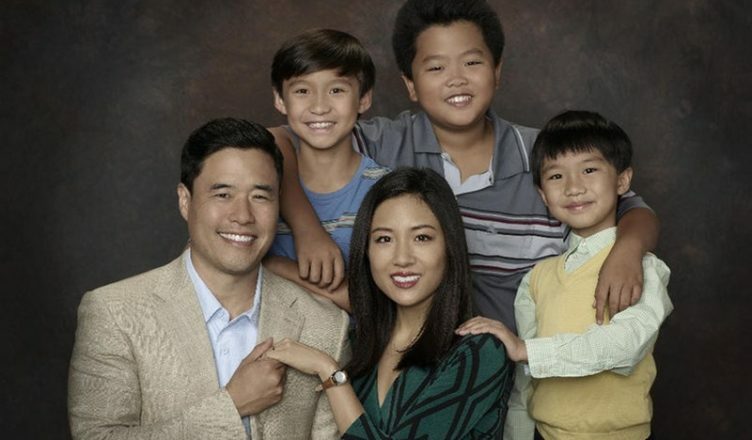 “Fresh Off the Boat” features an all-Asian cast and is based on the memoir of Eddie Huang, which tells the story of an Asian family adjusting to life in Orlando. Furthermore, the show makes many music and fashion throwbacks to the ‘90s and features cameo appearances by Jeremy Lin, Ken Jeong, and Stan Lee. You will definitely see how each character develops throughout the seasons, especially when watching Eddie, Emory, and Evan grow up. I don’t understand why Netflix fails to promote this show the way it deserves; I only watched this series due to my suitemate’s recommendation and later got several friends hooked. “Good Girls” talks about three struggling moms who rob a local grocery store in order to ease their financial issues. Despite the crimes they commit, you cannot help but side with them. Each episode is not only funny but also intense and will make you want to binge the entire season to find out what happens to the women. “Santa Clarita Diet” is labeled as a crime comedy, but I would say it is dark humor with a hint of mystery. It talks about a virus that turned real estate agent Sheila into an undead, which causes her to crave human flesh. As she and her family try to figure out what exactly is happening, they have to search for Sheila’s meals. This show may cause you to lose your appetite in light of some gruesome scenes; however, I enjoy the storyline and how the producers use humor to lighten the overall heavy theme of the show. America Ferrera leads the show by portraying a retail worker at Cloud 9. The show follows a group of employees and their eccentric relationships with one another. The show uses satire to shed light on important topics such as feminism, employee benefits, and work dynamics within the working class. This is not an intense series, but every episode will leave you with a smile. This show is almost the definition of feminism and female empowerment. Ellie Kemper stars as Kimmy Schmidt, a young girl was tricked into joining a cult and kept in the dark about it for 15 years. The show talks about her life in New York City after the incident and shows how she strives for positive change and does not allow her past to dictate her identity and life. I personally love the message the show brings and how it uses humor to examine issues of misogyny. Big shoutout to Kimmy’s sidekick and roommate, Titus Andromedon, since he delivers incredible music for the show, too.